London Transport was not an early convert to the Leyland National. It had just made an enormous commitment to single-decker operation in the shape of hundreds of Merlins and Swifts. These were not proving trouble-free! It was having problems too with its new fleet of Daimler Fleetlines. So it was not going to plump heavily for another untried type. But LT did authorise a trial, using six dual-door short Nationals and six dual-door MS-class Metro-Scanias. 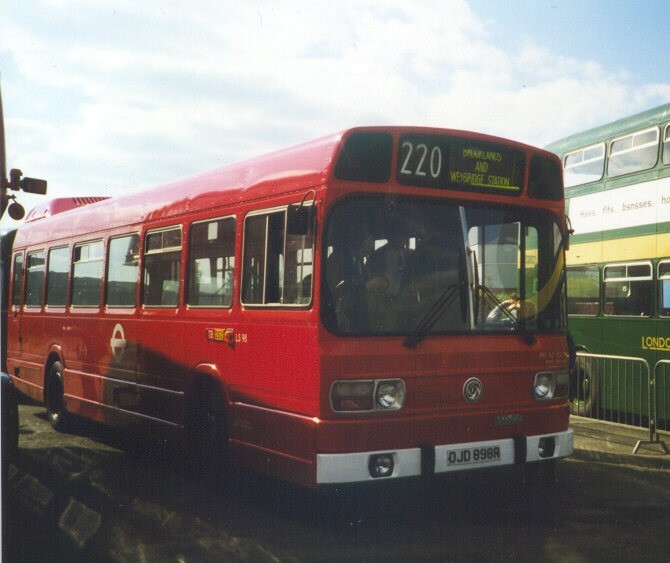 The Nationals joined the Metro-Scanias at Dalston garage in November 1973 for the S2 (more famous as the 178, last haunt of the red RLH). They were in a deep red livery, with white roofs and grey pods. LT quickly discovered its likely problems with the type: prodigious consumption of oil and engines! Bored-out engines and derating greatly improved matters. London Transport must have been impressed by their trial buses, but made haste slowly. It was 1976 before they had an opportunity to buy more Nationals, when an export order for 51 buses for Venezuela was cancelled. LT bought all of them, in a bid to keep its single-deck fleet running. They were allocated to Hounslow (AV) in August 1976, where they were joined by LS1-6. They took over a broad spread of single-decker routes from SMS class Swifts, which were then redistributed round the fleet. LT's problems with its Merlins and Swifts had not been solved, and were worsened by attempts to overhaul them. In December 1976 the Board authorised the next fifty Nationals as direct Swift replacements, and these were followed by further orders for delivery through to 1979. Leyland was pinning all its bus hopes on the National, but in the typical management style of the seventies treeated its customers with disdain. Buses were available in three colours only: NBC red, NBC green and yellow. Simple plain colour. No lining, trim, or second colours. LT persuaded them to add London red to the colour choice. So the buses came to Aldenham for finishing, for the painting yellow of the front doors (which arrived in primer grey), and addition of logos. A backlog built up at Aldenham. Trainers went out without finishing touches, and were recalled before going into revenue service. Some buses were sent out to sub-contractors for finishing. The first fifty went to Elmers End in June and Bromley in August to replace Swifts on routes 12A and 227 respectively. Preserved LS103 at Duxford in September 1999. Photos by Ian Smith: click for larger versions. Thirty ordered in 1978 were used to create two new routes (250, 255) at Loughton, replacing the old 254, and also to displace the last RFs. These were at Kingston for the 218 and 219, and had not previously been replaced because the inspection pits at Kingston were not amenable to Nationals and there were insufficient BLs. The solution was to reallocate the routes to nearby Norbiton, and Nationals replaced the RFs in March 1979. 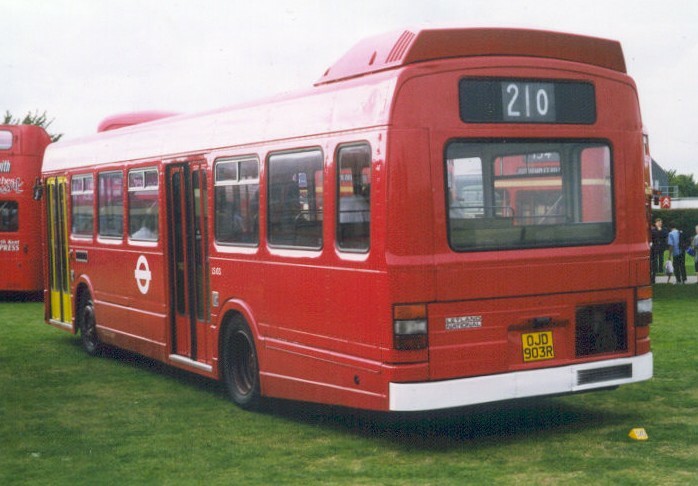 Early 1979 saw a double-decking of an LS route: the 110 was converted to the new Metrobuses, starting a trend that would continue. Another 140 were ordered for delivery between May 1979 and January 1980, primarily to help with displacing the Fleetline DMS class. The process began at Poplar and Muswell Hill, where DMSs were replaced in May 79 on routes 244 and 173. 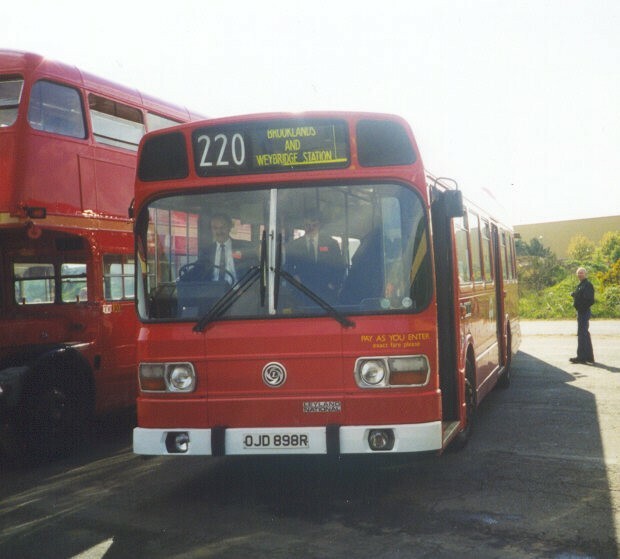 Harrow Weald used LSs to replace SMSs on the 209 and 258 in July 1979, followed by the 114 in August. Bromley had a complete sweep of its DMS routes in September and October 1979, with Nationals taking over the 61, 126 and 138. Holloway converted its 239 route in December. Romford (North Street) took some to replace BLs on the 247 and 247B. More SMSs were displaced from Uxbridge and new Nationals went back onto the S2 at Dalston and S3 at West Ham in place of SMS. Once all the National 1s had arrived there were of course changes in allocation. Other new buses were also joining the fleet, such as the Titans and Metrobuses, and there were adjustments to make the best of the available fleet. Leyland National 2s also made their appearance from 1981 - but they have their own page. 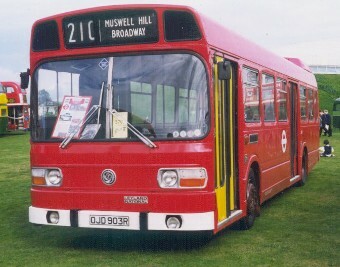 Meanwhile Fulwell lost its Nationals from route 90 (displaced by Metrobuses). 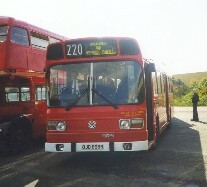 They went to Uxbridge in September 1980, for routes 98 and 204. More Nationals were replaced by Metrobuses at Hanwell in January 1981, and went to fill the gaps at Uxbridge. A new route 206 started from Leyton at the end of January, and Nationals also replaced RMs on route 230. This also led to their appearance on the N96 - the first night service single deckers. On the debit side, Titans replaced LSs on the 247B and 248A at Hornchurch. More Metrobuses replaced Nationals from Stamford Brook's route E3 during the spring, and the remainder of Hanwell's allocation. This created a temporary surplus of Nationals, which went in July 1981 to Hornchurch for route 246, previously Titan-worked. October saw a shift of LSs from Holloway, where they had briefly operated the 239, to Peckham for route 78 (previously MD). November saw Hornchurch's route 248 lost to Titans, with the Nationals going onto 248A, 252 and 256. Early arrivals also needed overhaul. LS1 spent more than a year in Aldenham on a pilot overhaul, (May 79-August 80) while the process was perfected, followed by rather quicker overhauls of the rest of the first batch during 1980. 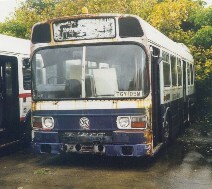 Buses from later batches started onto the overhaul scheme from April 1981. LS1, back at Hounslow, became a show bus, with grey pod, grey roof and black skirt. Bristol BLs felt the pinch in April 1982, when the 234A was converted at Croydon. Merton also received Nationals at the same time, for a number of routes, displacing Daimler Fleetlines, while over at Bromley the rural 146 route swapped its Bristol BLs for Nationals. But the profound changes at London Transport occasioned by the legal challenge to the Fares Fair policy being upheld by the courts did affect the Nationals. From September 1982 there were significant fleet changes: Routemasters, Fleetlines and Metro-Scanias went to the wall in huge numbers, and the Nationals were shuffled around to produce maximum single-person operation.. Hence the changes at Loughton, where Nationals replaced newer Titans, which in turn went to displace older buses. Nevertheless a substantial number of Nationals were placed in store at Hackney (which was no longer operational), pending overhaul or re-allocation. 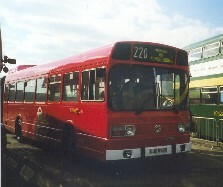 April 1983 saw a more sizeable change at Bromley, when the 261 converted from Routemasters. Stockwell received some in place of Bristol BLs for the P4, which was usefully extended from Brockley Rise to Lewisham so that they could turn. The 1983 celebration of LT's Jubilee brought several non-standard liveries to individual Nationals. 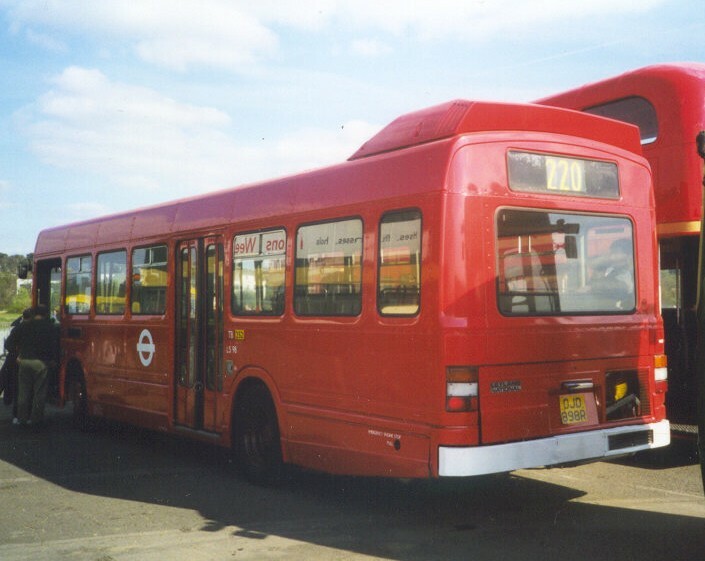 LS194 was repainted with white window surrounds and roof, black cab front, gold London Transport fleetnames and Jubilee emblems, and used in service from Croydon. Harrow Weald (HD) painted its LS402 with gold window surrounds. 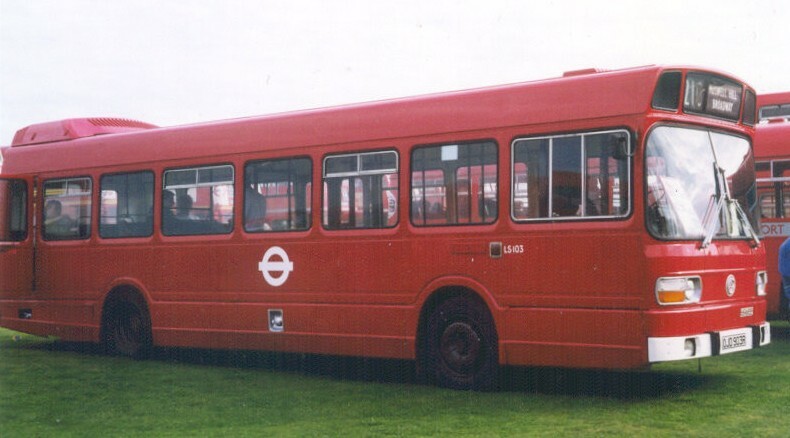 At the end of 1983 six Nationals were repainted for the new D1 Docklands Clipper service between Mile End and the Isle of Dogs. The livery involved the addition of white stripes, upswept at the rear in the then current fashion. They started work from Poplar (PR) in January 1984. Two National 1s were converted as Mobility Buses in 1985, with a Ratcliffe Lift installed in the exit doorway, and anchorages for wheelchairs. They joined the Mobility Bus network in the north and east, where a National 2 was already in operation. They operated from Leyton (T). During 1984 Croydon and West Ham lost their allocations, but Poplar started using Nationals on new route 276. Catford's 181 was another new route. On the other hand, they disappeared from Peckham's circular 173 and the East End 278. New Titans made a substantial impact on Bromley's allocation when they started to displace the Nationals from the 261 route in October. This was the start of a surplus of Nationals, increased in 1985 when Bromley's 138 switched from Nationals to Titans. But the changes were not all one way, or permanent: Peckham's route 70 became LS operated for a while in the autumn of 1985, but then reverted to Titan. Harrow Weald's route 209 was converted to Metrobus in November. The conversion of Bromley's B1, that had started as a BS route, from BL to LS made only a small dent in the rising surplus. The first six, LS1-6, were due for overhaul again in 1985, but were withdrawn instead, and five of them sold. LS5 looks rather battered after a second life working with British Airways as an airside vehicle. In October 1999 it was at Mike Nash's Depot 42. Photo by Ian Smith. Click for larger version. Many others soldiered on. A major blow to London's use of Nationals in the suburbs was deregulation and tendering in the outer areas, beyond the GLC Area. Loughton garage, a National-only garage, lost all its routes, including such old-London routes as the 20, mainly to Eastern National, but also to West's and Sampsons. Loughton garage closed in May 1986. Stored Nationals accumulated, more than 100 being in store in August 1986. Six were converted with coach seating and single doors in 1986, for use on express service X99 between Basildon and Harlow, starting in August 1986. That experiment came to an end after six months and five of the dual-purpose vehicles were transferred to London Coaches and used on a contract for the Japanese School in East Acton, until 1989.